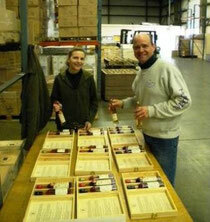 We have been getting great feedback on the new French Essentials Gift pack / Collector's Edition. It's like a Brandy seminar in a Box, with 200 ML. 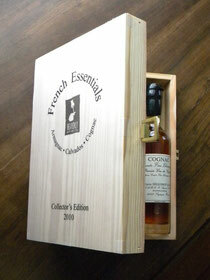 bottles of award winning Cognac, Calvados and Armagnac. Picture yourself tasting and comparing with your friends after that big holiday meal. 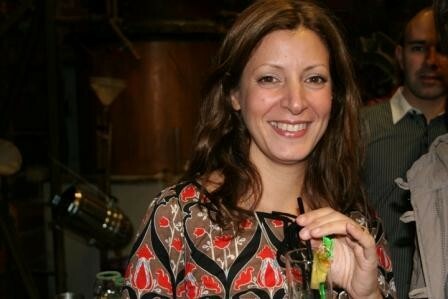 Also includes information about each of the artisan distillers who make these wonderful products. Only 240 of these 2010 collector sets will ever be made. Distribution is limited to locations in Massachusetts and Illinois, but most states can now order through Binnys in Chicago. On Friday, November 26th May Matta-Aliah and Megan Wiig, Armagnac Ambassadors for NY and Chicago respectively, accompanied by 2 writers from the US set off to the magical land of Gascony where distillation was in full swing at the various houses dotting the countryside. 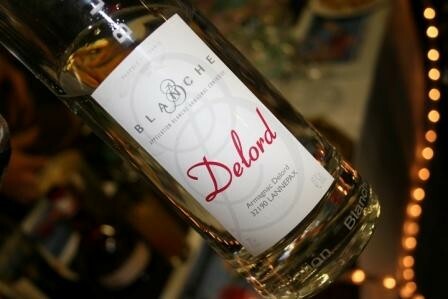 Stop Number 1 on Saturday, November 27 was a memorable distillation party at the House of Delord in Lannepax. It was easy to forget where you were, once you stepped inside the garage doors, and were greeted by the sounds of dance music and cocktails shakers. A fabulous band of ladies added to the ambiance, as they rocked the house with their musical interpretations. Food was plentiful and kept on coming till the wee hours of the morning. At 1AM the Armagnac bottles were lined up for tasting, while the Alembic Armagnacais, continuously churning away in the background, reminded us of the magic of time in barrel that transforms this harsh young eau-de-vie into the wonderful richness we were enjoying so many years later. The valiant travelers enjoyed the festivities and danced the night away till 2:00AM. Not a bad way to start a trip! On a whirlwind trip to the Big Apple this past weekend, Heavenly Spirits participated in the first ever Ultimate Cocktails, Spirits & Wine Blast. Held at the New York Marriot Marquis Hotel in the Broadway Ballroom and hosted by Sue Woodley and F. Paul Pacult, it was quite an event. The 1,200 tickets to the Blast sold for around $100 each and they were sold out well in advance. In addition to a festive ambiance, good live jazz music and a nice variety of finger foods the place was packed to the gills with some of the finest cocktails, wines and distilled spirits available in the world. These award winning products were the stars of the show as everyone clamored to get an ultimate taste and perhaps talk with the producers or agents of the libations they enjoyed most. Christine and I were busy all night pouring samples and talking with folks who had come to learn about the eight Heavenly Spirits products that rated from Highly Recommended to Ultimate Recommendation in the Ultimate Spirits Challenge held in March of this year. We had pouring help from Calvados producer, Jean Roger Groult who flew in from Normandy and New York Armagnac Ambassador, May Matta-Aliah who was happy to come by and lend a hand. Our award winning products included: Absinthe La Muse Verte, Armagnac Artez VSOP, Armagnac Delord XO, Armagnac Marie Duffau Hor d'Age, Calvados Roger Groult Pays d'Auge, Cognac du Peyrat VSOP, Cognac Seguinot Napoleon Grande Chamgagne, and Qino One Vodka. We also had the pleasure of meeting and talking with dozens of New York retailers, and restaraunt owners as well as the industry media and producers from around the world. 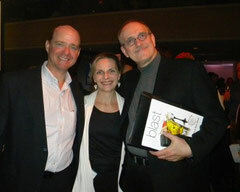 Congratulations to Paul, Sue and the Ultimate Crew for putting together such a first class event! We just got the news that La Muse Verte, our award winning Absinthe, has the highest rating from BEV MO Club members with a 94/100. This is not the first time we beat out the more publicized competition in a particular chain or market. In our opinion La Muse is the best, and most authentic artisinal absinthe on the market, but it is always nice to hear it from consumers. Because we do not have the marketing budget of some other brands, we rely on thoughtful consumers who taste La Muse and remember how tasty, refreshing and satisfying it is. 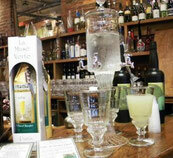 Our thanks to all the La Muse Verte Absinthe and Pastis supporters out there. 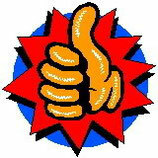 Check out the Bev Mo site here CLUB BEV MO and don't forget to tell your friends. Click this button and check it out. This has been a busy summer for us so far and we've had lots of support from our Massachusetts retailers. Our July 3rd cocktail tasting at Cotuit Liquors was a big hit as customers enjoyed the Raspberry Cape Codder samples we were offering along with tastings of La Muse Verte Pastis and Absinthe. 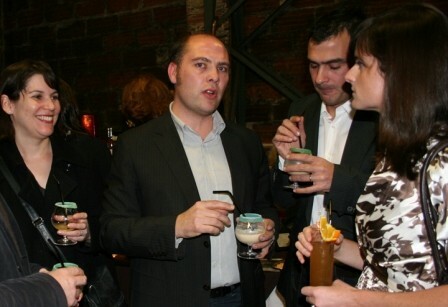 Many of the consumers we talked with had never heard of these popular French drinks but seemed happy to learn by tasting them. 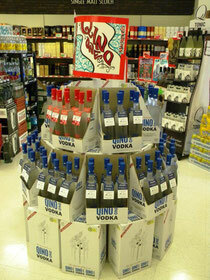 We ended up selling every bottle of Qino One Vodka red and blue in the store. Martignettis of Brighton, MA has been supportive by building the Castle of Qino One Vodka pictured here and promoting it on their sign out front. It's not easy competing against the big industrial vodkas, but once you taste Qino One, you appreciate the all natural, no additive difference. Our Raspberry flavored vodka is so different from other brands who use flavored syrups. Qino One Raspberry is made from 100% natural raspberries macerated in Qino One vodka before being distilled and blended again. Almost no sugar is added. The nose is pure and natural raspberries. Our summer tasting schedule is always being updated. Tonight we'll be at Corks in Mansfield, MA. Stop by for a Heavenly taste of summer spirits. Every 700 or so years the folks from Gascony like to get together and celebrate one of the unique things that separates their region from all the others in France. That thing is Armagnac, the oldest distilled brandy in France. This Septicentennial celebration is taking place throughout 2010 in four of the world's major cities; London, Chicago, Moscow and Paris. This past week was Chicago's turn to celebrate and share information about one of the world's oldest and finest spirits. 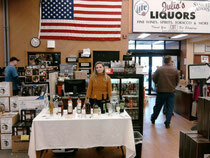 Events started on Thursday June 10th at the South Loop location of Binnys, Chicago's largest retail liquor chain. Brett Pontoni, Binny's Specialty Spirits Buyer was on hand hosting two guest speakers for a seminar on Armagnac. Heavenly Spirits' Christine Cooney and Jerome Delord of the Delord Armagnac house talked about the history and science of Armagnac and shared stories about the Delord family distillery. On Friday, the Armagnac celebration joined forces with the World Wine Meeting Convention held at the Downtown Chicago Embassy Suites. Events of the day included Armagnac Ambassador May Matta-Aliah conducting a seminar on the subject of Armagnac to a standing room only crowd, a walk-around tasting of wines from all over France, a formal dinner and knighting ceremony. The walk-around tasting included a separate room devoted to Armagnac, representing ten of the top Armagnac producers and over sixty distinct Armagnac products. 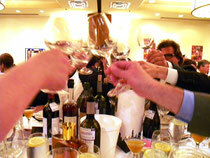 The day was capped with a Gascony inspired dinner attended by over 350 wine and spirit devotees. The menu included Foie Gras, Smoked Duck, Confit de Canard, fingerling potatoes, a plate of French Cheeses served with Fig Chutney, and finally a Galette de Pommes. Each person attending found a souvenir French beret on their seat with the Armagnac logo embroidered on the front. Following the dinner, four individuals were formally knighted into the Armagnac Brotherhood Compagnie des Mousquetaires and presented with sashes, medals and diplomas for their long standing support in representing the quality and history of the Armagnac region and spirit. Two of these inductees were nominated by Heavenly Spirits; Brett Pontoni, the Specialty Spirits Buyer for Binnys and David Soto, Former Spirits Buyer for Sam's and now with Binnys. Both men have done an amazing job in educating their clients and promoting the virtues of Armagnac. For that, we salute them as we recognize their professional dedication, passion, and success. As the leading importers and promoters of Armagnac in the USA, Christine and I were pleased to be part of such a notable and historic event. We were also pleasantly surprised to see so many industry associates and friends in attendance, for example: Lou Bock, our CA distributor, Ed Hamilton, the Minister of Rum, and Jerald O'Kennard of the BTI in Chicago. And, we should not fail to mention the pleasure we had in sharing the event with some of those great and personable Binny wine & spirit consultants like Joe Maloney and Gregory Fulham. In conclusion, I'd just like to wish Armagnac another 700 years equally as fruitful as the first. Cheers! To see photos of this event please click here for Thursday or here for Friday. Each year, the Spirit Journal by Paul Pacult, perhaps the most highly regarded spirit review publication in exsistance, selects the 130 Best Spirits in the World. As part of this year's selection 34 Five Star Bandies made the list, and we are very pleased to announce that four of them are from the Heavenly Spirits portfolio. Are we surprised? Not really, representing exceptional spirits has always been our goal, though it is awfully nice to have our own selection process confirmed by such a well respected source. Once again, we must credit our suppliers for doing such an outstanding job in producing these fine spirits and thank our distributors and clients for appreciating the quality and value that our products deliver. If you have the opportunity to see the the entire list, ( http://www.spiritjournal.com/ )note how all of Heavenly Spirits products represent the best value by far, often competing against products that are four or five times the price. According to statistics recently released by the BNIA, Heavenly Spirits of Lakeville, MA is credited with the importation and distribution of more Armagnac to the US by volume than any other importer. That's right, and we did it for the second consecutive year, thanks to all you folks who appreciate quality and value, including our hard working distributors and our amazing suppliers who make such wondeful products. 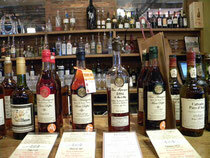 These Armagnac brands include Delord, Marie Duffau, Dartigalongue, Chauffe Coeur, and Artez. Coincidently, this year marks the 700th anniversary of Armagnac distillation. BNIA sponsored celebrations are planned for cities around the globe including London, Moscow and Chicago, and Paris. For its part, Heavenly Spirits plans to celebrate the 700th anniversary and its top distributor ranking by continuing to promote Armagnac across the US through seminars and tastings in each of the states where its products are distributed. It also has plans to offer various Armagnac related prize give-aways (swag) through social media sites like Face Book and Twitter. 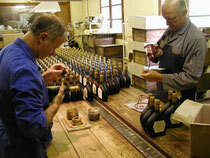 If you are planning any Armagnac 700 years celebrations please let us know about it. We just heard from Jerome Delord that the celebrated house of Delord has just received another award for the art of distilling, this time from the Concours General Agricole in Paris for the Delord Hors d'age (XO). 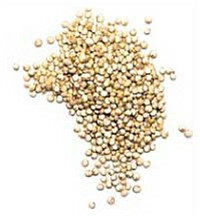 The award was a gold medal, which once again confirms the high level of quality the Delord products are known for. 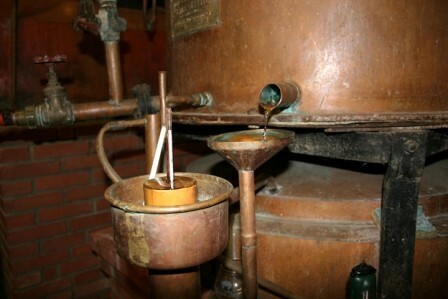 Armagnac is the oldest spirit in France, celebrating 700 years in 2010. It must be nice for the hard working Delord family to know that after all these years, they are doing it as good or better than everyone else. We at Heavenly Spirits are proud to be representing such a fine house of artisinal spirits who are so dedicated to their craft. Ask for the Delord XO Armagnac at fine establishments near you or contact Heavenly Spirits for more information. The weather couldn't have been more appropriate for our Cognac vs. Armagnac Brandy tasting; a day long New England snowish rain turned into an evening of rainish snow as we began comparing some of our finer cognacs and armagnacs for a group of almost twenty brave souls who came to listen and taste. 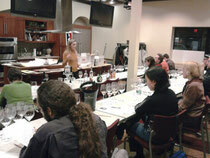 Gordon's Tasting room, in their Watham location is as perfect a place as any I've seen for this type of tasting seminar and the staff was very helpful and attentive in assisting us. As Christine talked about the differences between the two French brandies, it was clear we had a relatively experienced, knowledgeable and good-natured crowd on hand. 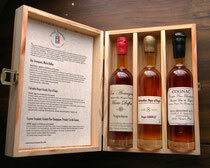 All together we tasted two cognacs; our new organic Cognac du Peyrat, VSOP and Cognac Seguinot Napoleon. 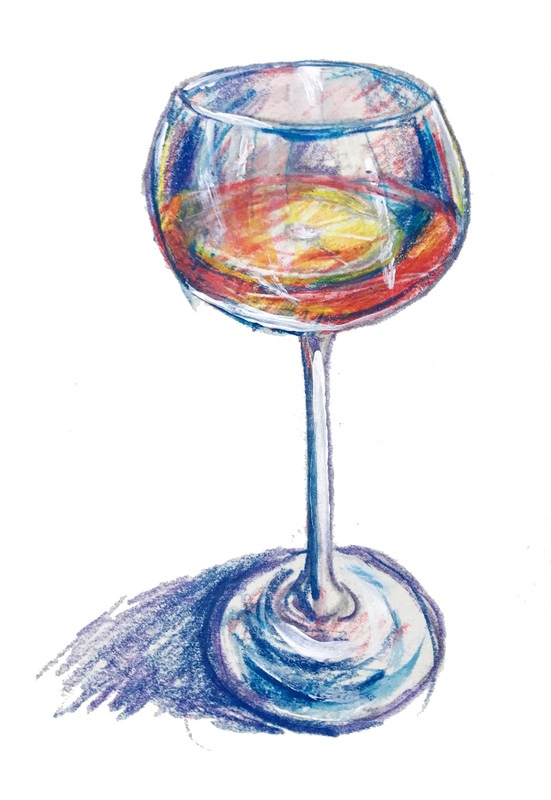 We followed that with three armagnacs; Artez Folle Blanche VSOP, Armagnac Delord Napoleon, Chauffe Coeur VSOP, and finally, for a kind of refreshing ending, we tasted our Absinthe La Muse Verte, both with and without sugar. We heard great comments afterward and trust everyone made it home safely. Hats off to my incredible wife, Christine, for the Babette like feast she threw together despite a bad back, to help us bring in the New Year. To be fair, it was at my urging that she began to imagine this incredible spread on Tuesday. She then bought all the ingredients on Wednesday and spent all day Thursday cooking and preparing. Here is how it unfolded starting at 8:PM New Years Eve: As the dozen or so adult guests arrived and gathered around the kitchen island, we started them with a cocktail which Christine assembled, shook slightly with crushed ice and poured into assorted martini glasses. The name of the cocktail that inspired the one we served is “Queen Bee,” and it was created by Neil Kopplin, bar manager of Carlyle Restaurant, Portland Oregon. Christine’s variation uses white Armagnac instead of vodka, so I’m going to call it a “Queen Bee - Christine.” Take White Armagnac, St. Germain Elderflower liqueur, lemon juice, maple syrup, shake lightly with crushed ice and strain into martini glass. Top off with sparkling wine. Garnish with lemon zest curls. As we sipped this deliciously refreshing nectar we began grazing on assorted starters like Mediterranean olives, lightly salted mixed nuts, grape tomatoes, and approximately ten different imported cheeses hand picked by Christine at Whole Foods, including: Brillat Savarin, Conte, Edel de Cleron, Emmental, Goat Brie Montchevre, Goat Gouda, Manchego, Petit Basque, and St. Nectaire. Before anyone got carried away by the Queen cocktail, we offered a choice of white wine: Sauvignon Blanc, from Sterling Vineyards - 2007, or Chardonnay, from Chalone Vineyards 2008… and then invited everyone into the dinning room buffet for the second round of eats; Hama chi Tartar, served on delicately thin rice crackers, Balsamic caramelized onion tart, a platter of Smoked Salmon and Trout, Seared Sea Scallops served on a bed of baby spinach, with a dribble of apple cider shallot reduction, and two choices of soups; Classic French Onion, deglazed with 15 year old Calvados served with homemade toasted croutons and sprinkled with shredded Swiss cheese, and a Cream of Cauliflower soup, topped with crumbled bits of baked prosciutto flakes, served in mini glass tea cups. Sophie, one of our guests, brought a beautiful salad of spinach and artichoke hearts. Kathy added a plate of grilled shrimp skewers on a bed of asparagus spears with a creamy garlic egg white dip. Christine advised us all to pace ourselves so as to remain ready for the main course which would follow. Believe me, this was difficult to do. Per our request, each guest brought a bottle of red wine and as a result, we ended up with quite a decent line-up to select from, including: three Malbecs – Andeluna 2007, Colores Del Sol Reserve 2008, Graffigna Reserve 2007, two Pinot Noirs – Kendall-Jackson 2006, Beringer 2006, two Zins – Rosenblum XXXI cuvee, Gnarly Head 2007, a California Cab – Toad Hollow 2004, and both a Meritage and a Shiraz from Sterling Vineyard. “Gnarly” is right! The third wave of this amazing New Years Eve feast included a Roasted leg of Lamb stuffed and encrusted with a half inch thick blanket of bread crumbs, mushrooms, shallots and herbs, a Champagne Risotto with prosciutto and asparagus tips (recipe from our good friends the Ackermans), and more asparagus spears served in melted butter on the side. By this time (1:00 – 2:00 AM), everyone had migrated to the living room and was spread out around the glowing fireplace, when to help with our digestion Christine presented a hand-picked selection of exceptional cordials and spirits, including award winning brandies from the Heavenly Spirits portfolio; Cognac Seguinot XO, Armagnac Delord 25 yrs., Armagnac Delord 1969, Calvados Chauffe Coeur 15 yrs., Calvados Roger Groult 40 yrs., as well as a few of our favorite liqueurs; Canton ginger, Godet Pear, and Cream Shery Zuleta. She even pulled out one of the few remaining bottles of Eau de vie de Amedee, distilled from plums on her Grandfather’s farm over forty years ago. For us, Christine’s Feast was a great way to bid adieu to a year that we would mostly like to forget, and to usher in the promise of much better things to come. Christine and I would like to thank all of our friends, associates and customers for their continued support, and to wish you all a very positive, prosperous, healthy and happy 2010. We look forward to seeing you on the journey.